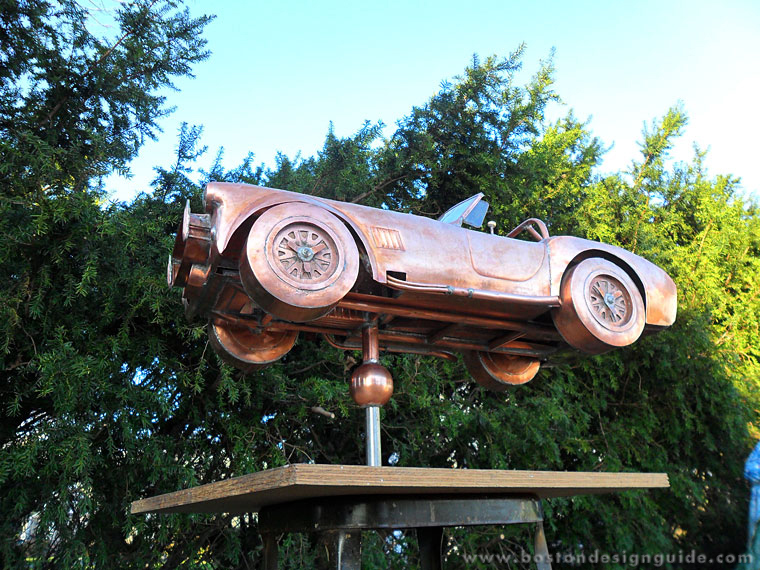 Weather vanes have long been constructed out of copper, due to the metal’s ability to be shaped and because it can withstand the elements beautifully. 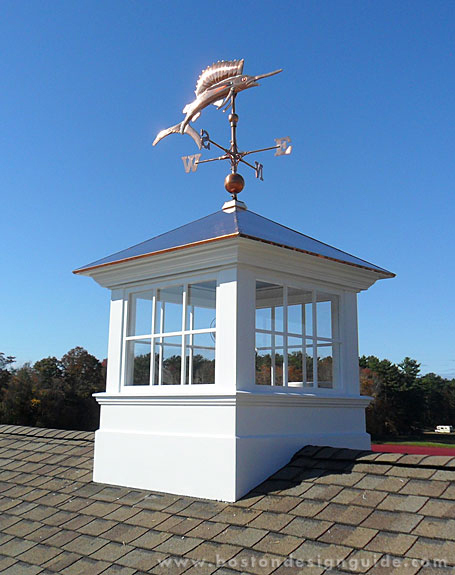 Cape Cod Cupola carries an array of spirited copper weather vanes—each individually crafted by hand. The sky is the limit—top your cupola with a historic, auto, animal, flag or boat design and add polish and character to your home. Seasons Four has no shortage of copper on display this season. 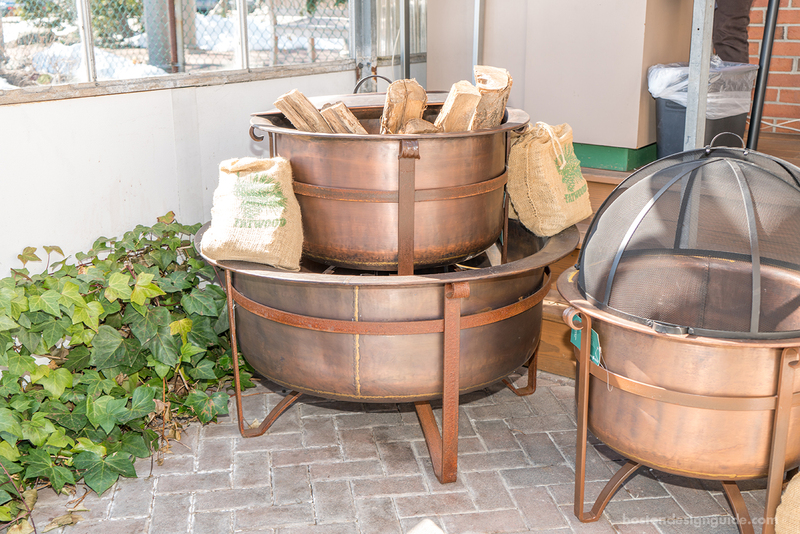 The metal makes an appearance on cauldron fire pits of all sizes and is the material of choice for statement-making drum-style coffee tables and accent tables. The distressed patina looks smashing on the patio, alongside teak and wicker. 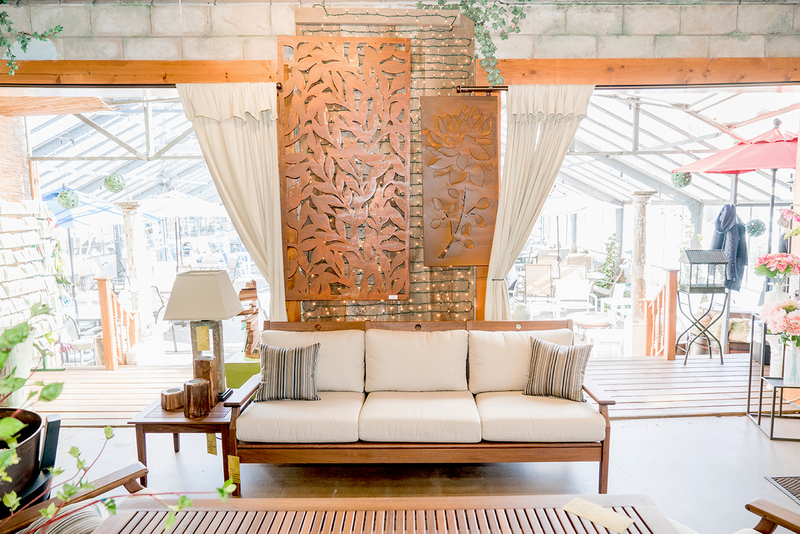 The Lexington outdoor living store is even showing copper wall art for exteriors. Try lacing it with vines or a climbing plant or string it with lights for a dazzling backdrop to your terrace or barn. 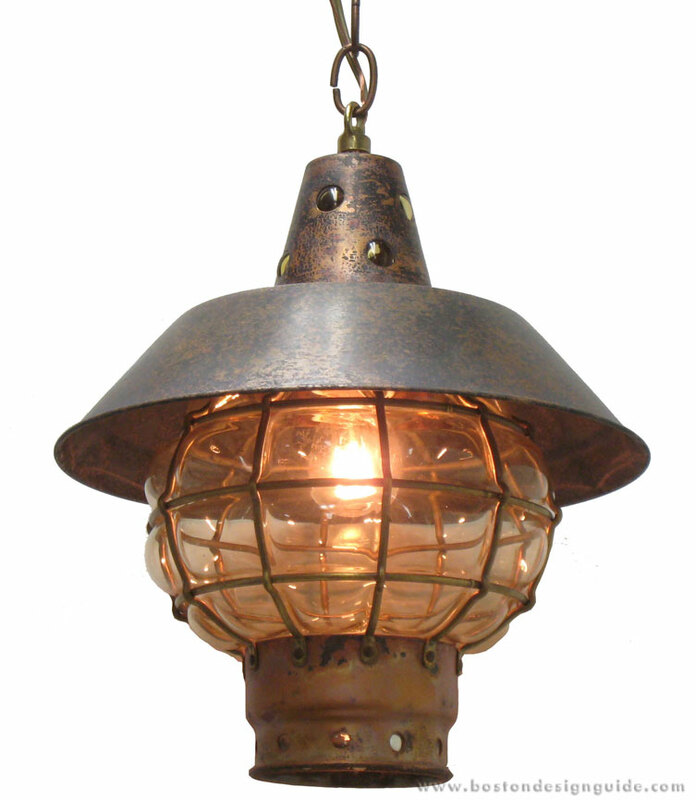 Add a swashbuckling effect to you indoor or outdoor space with Shiplights’ ‘antiqued’ globe light. Comprised of oxidized copper and amber colored glass, this is the retailer’s new take on a “traditional brass onion hanging lantern.” The handsome yet rustic fixture graces private residences from Newport to Nantucket to St. Simons Island, Georgia, and is also available in a wall mount version. 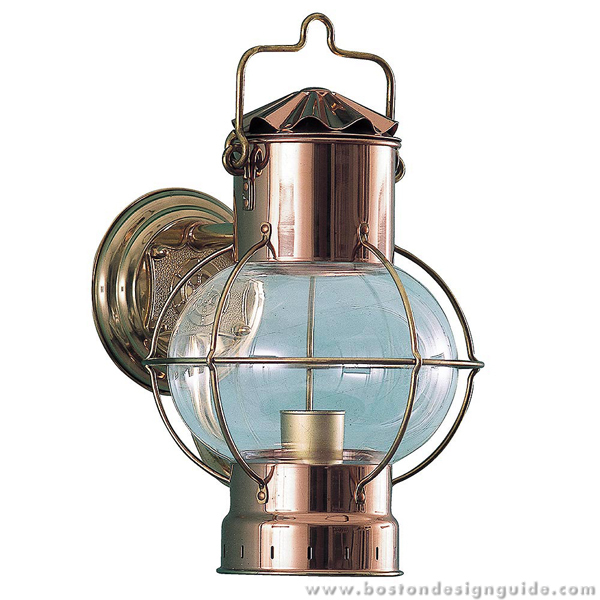 The Bracket Globe Light is among Shiplights’ most traditional New England lanterns, and lends a nautical flair to both interiors and exteriors. This style, in unlacquered copper and brass, is brilliant within porches and gives a glow to exterior walls, not to mention visibility. Illuminate your front entry, add charm to your yard and create instant curb appeal with Cape Cod Lanterns' Lexington Wall Lanterns. 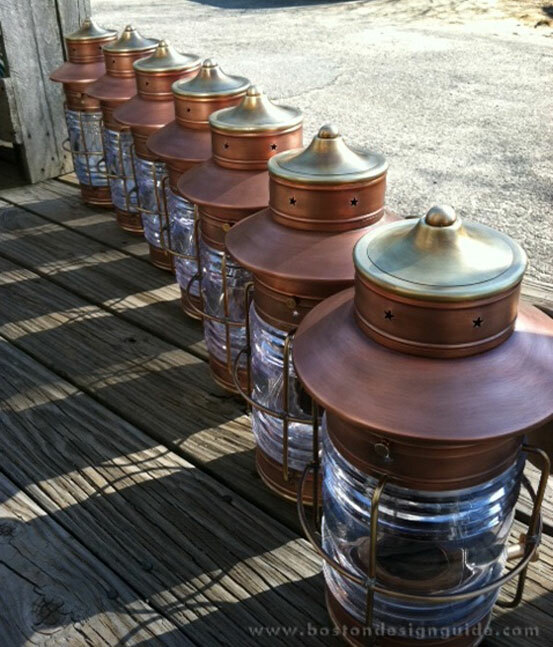 This antique copper lantern, available with a glass bulb or three candles, creates a quaint gaslight effect by the pair at your doorstep or garage, and is well suited for Colonial homes. Made in their Cape Cod shop, Cape Cod Lanterns' Caged Lanterns cast a beautiful light and can line your driveway or grace your wall, tabletop, mantel or ceiling, depending on the mount. 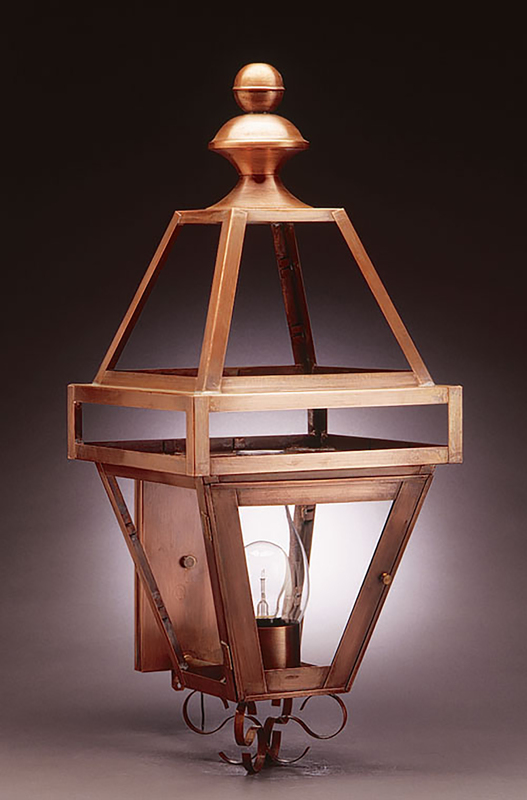 These attractive lanterns, fashioned in a brass/copper combination, weather to a natural patina and come with a clear, red or green Lexan lens. Exteriors needn’t corner the market on copper. 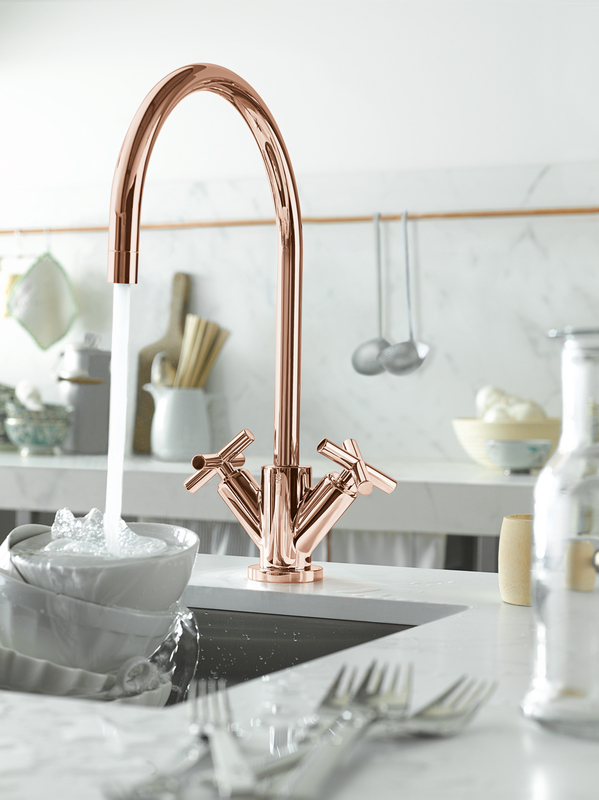 Add the allure of the metal to your kitchen with Rohl’s Stainless Steel Sink in a copper finish. Available at Designer Bath and Salem Plumbing Supply in Beverly and Watertown, this radiant basin’s copper tone emboldens an island or counter but has all of the durability of Stainless. 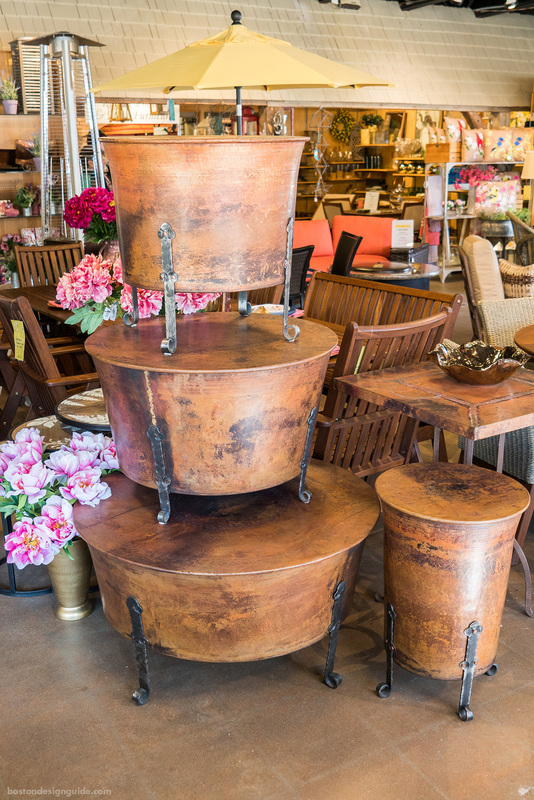 Copper also make a splash in the kitchen or bath when it’s used for the faucet or fixtures. Dornbracht’s highly stylized Tara kitchen faucet—also available at Designer Bath and Salem Plumbing Supply­—was given a rosy, high-gloss sheen with a Cyprum finish, a metallic derived from 18-carat gold and copper. This finish, which stems from “cuprum,” the Latin word for copper, is a foil to the cooler white tones that have commanded kitchens of late. 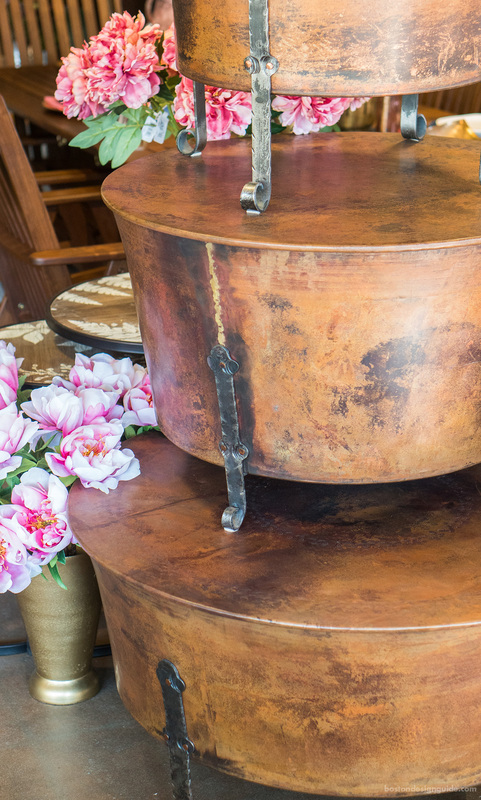 The design is also a clear departure from the more pervasive hammered copper treatments (charming as those may be), with its impossibly sleek and contemporary vibe.